Steve Nielsen has several years of research experience. He is a member of the Minnesota Historical Society and the Hennepin County Public Liarary. Steve is a native of the Twin Cities, growing up in Maplewood and currently residing in Minneapolis, He is an avid reader, gardener, and vintage dealer. "I was always curious about my grandfather who was a champion wrestler in the U.S. Navy and I wanted to know more about him. 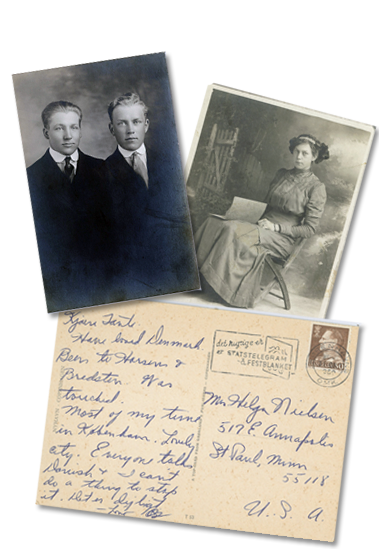 That sparked my interest in doing family history as well as my career working at the Minnesota Historical Society Library"
Don’t have the time to do your own research or live too far away? Hire Blue Window Research to look through microfilm and original records when online resources are incomplete or non-existent.